Hey Y’all! Happy Almost Friday! 2 posts in row? Wow, I’m getting crazy…but wisdom teeth removal will do that to you when you are stuck in bed! Yesterday, my June Sephora PLAY! Box arrived and y’all…I think this might just be the best one yet! I’m so excited about this month’s subscription box! This is my third month of this supscription box, so if you have been reading my blog for a while, you probably know how this goes. But if not, click HERE to read my first blog post that explains how this subscription box works more in depth! But anyways, let’s get this post started! So of course, it’s the same classic black + white striped box with the red “PLAY!” logo. I get so excited every time I see this in my mailbox or on my porch because it’s so recognizable! And then when you open the box, it has the usual layout on the inside as well. 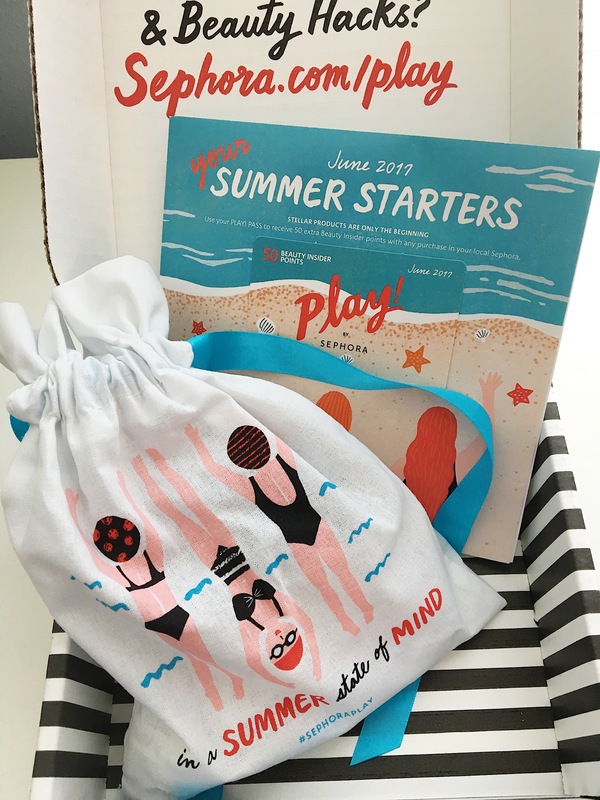 This month’s came with a summer themed information packet and bag! 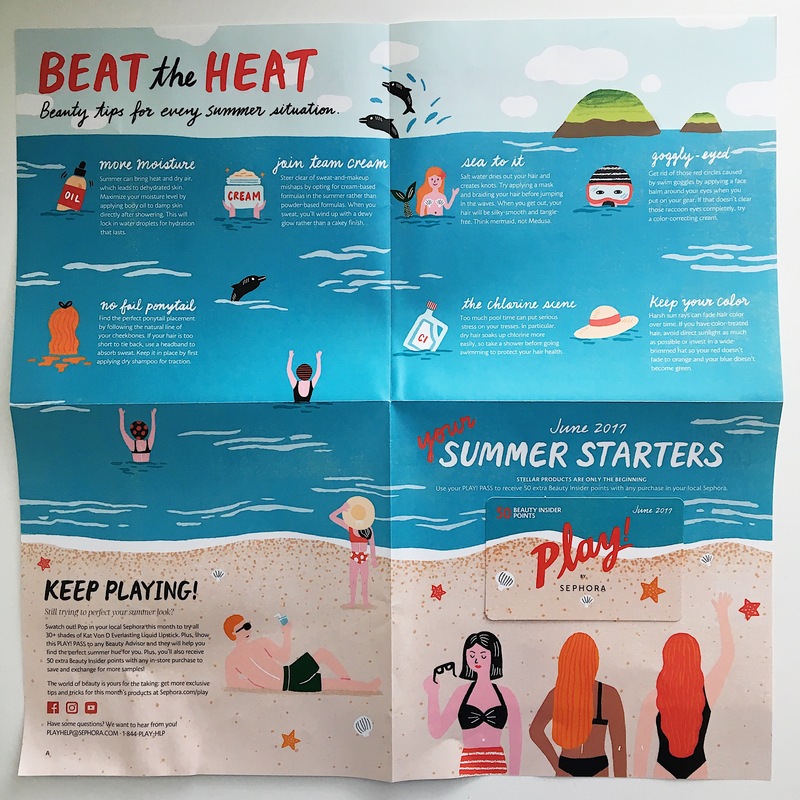 This month’s information packet is super cute! It has graphics of a beach with people playing in the sand and the water. Of course, it also comes with my play card for the month. (So whenever I go to my local Sephora and make a purchase, I get an extra 50 Beauty insider points!) 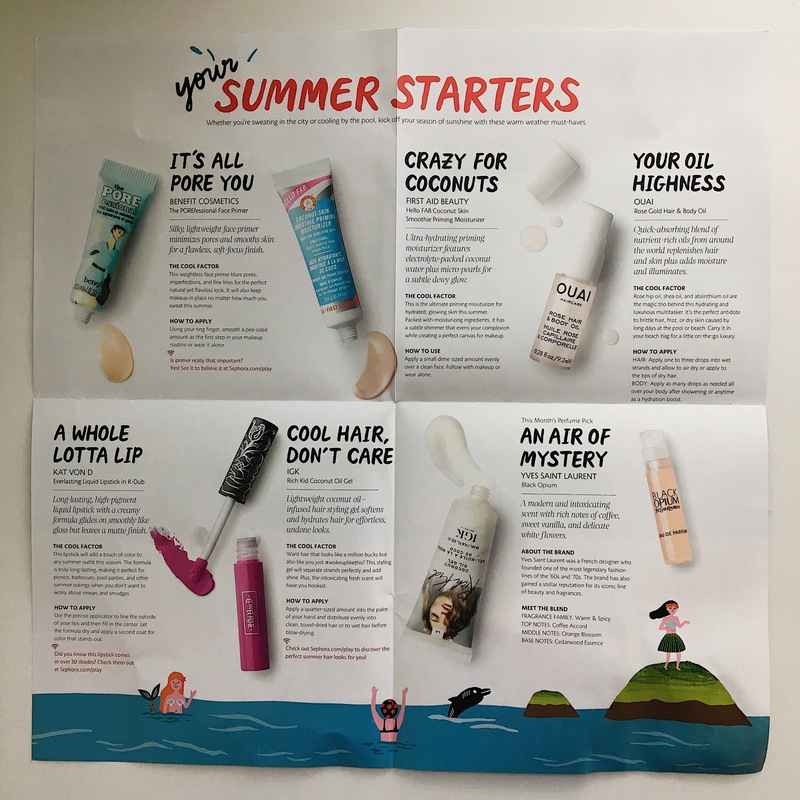 This page of the packet has some beauty tips for summer like taking care of your skin and hair. The other side of the information packet has the usual list of the 6 products and their individual uses. All of them also say how they should be used and some even have links to extra tips! This is this month’s beauty bag that holds all of the products. I really like this one because like April’s bag, it is cloth with a cute pastel ribbon to tie it closed. 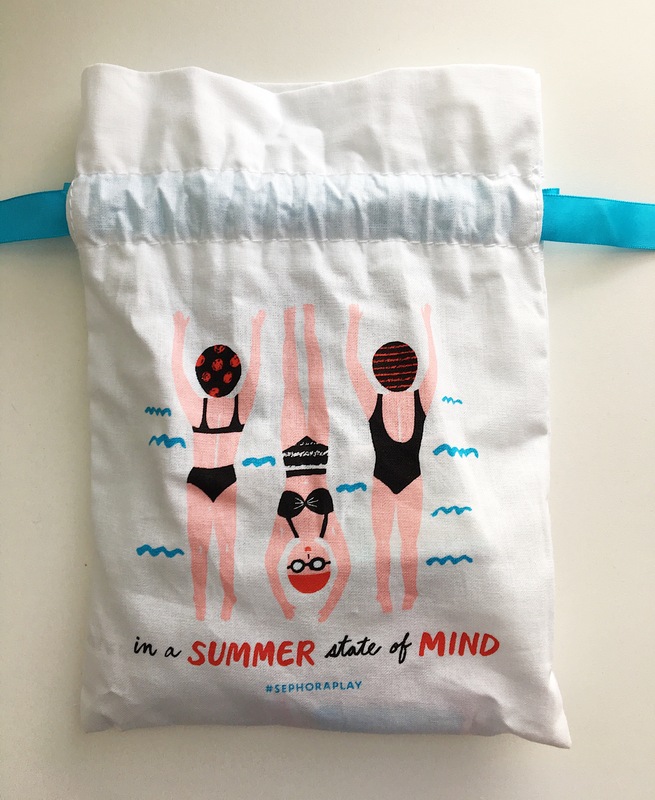 But most of all, the super cute print of the girls in swimming suits is to die for! “In a summer state of mind” is also written at the bottom! 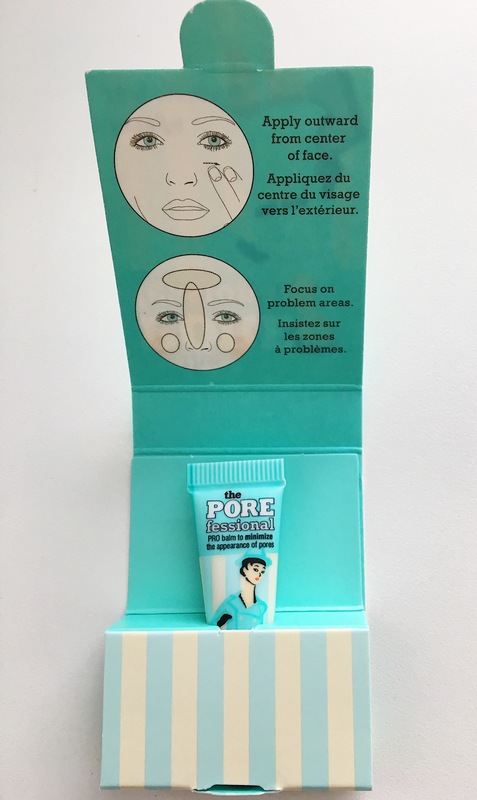 The first product in the bag was this Benefit’s “The POREfessional Face Primer.” I have heard so many great reviews about this primer and I am so excited to try it out! 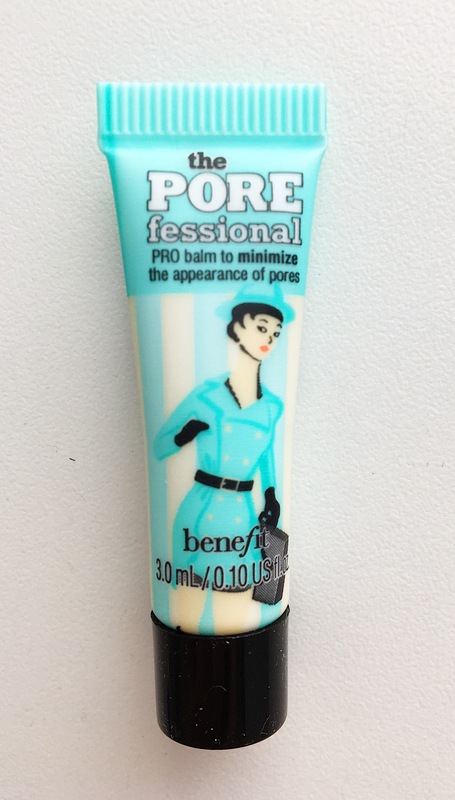 Also, I LOVE Benefit Cosmetics, so when I saw this in the bag I freaked! 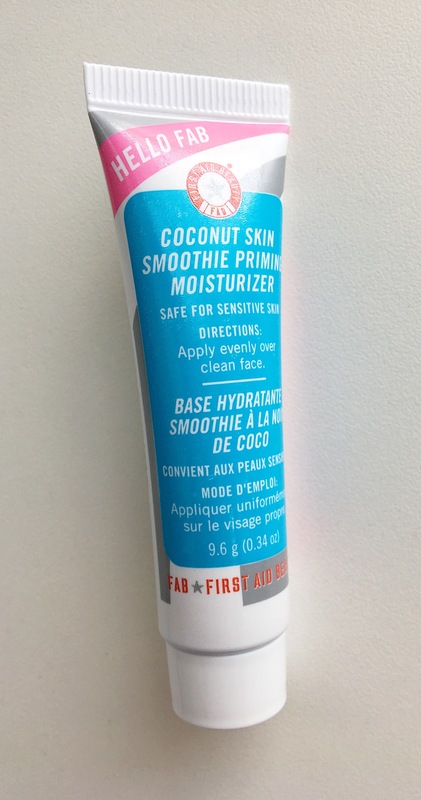 The next product in the bag has quite a mouthful of a name: the “Hello FAB Coconut Skin Smoothie Priming Moisturizer.” I have heard a lot of great things about First Aid Beauty so this is another product I’m really excited to try! Plus, it smells SO GOOD! 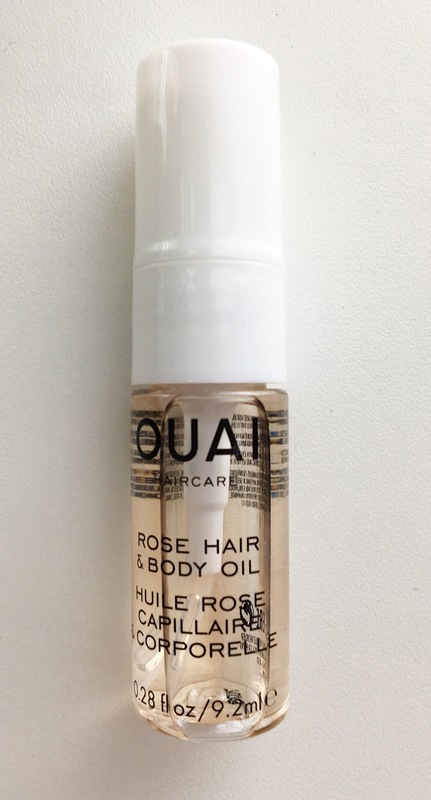 Next product was this OUAI “Rose Gold Hair + Body Oil.” This product also smells really good! 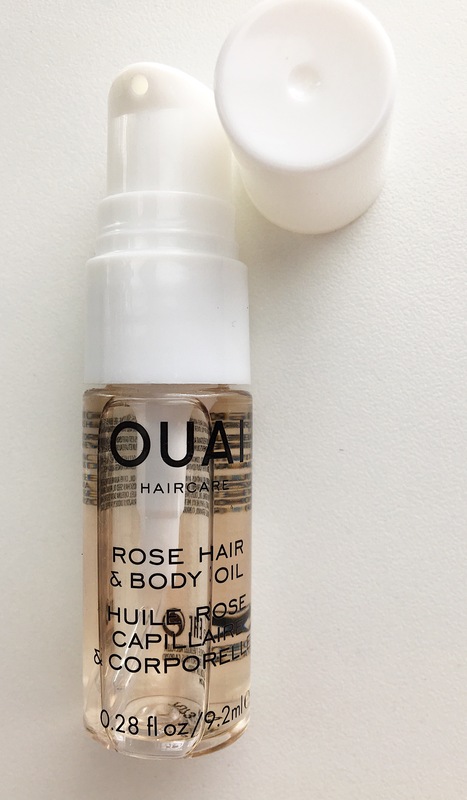 The description says it is perfect for moisturizing as preventing brittle hair, frizzy hair, and dry skin! So this definitely sounds perfect for summer! The next product was this super fun, Kat Von D Everlasting Liquid Lipstick in the shade “K-Dub.” I feel like this shade is perfect for summer! 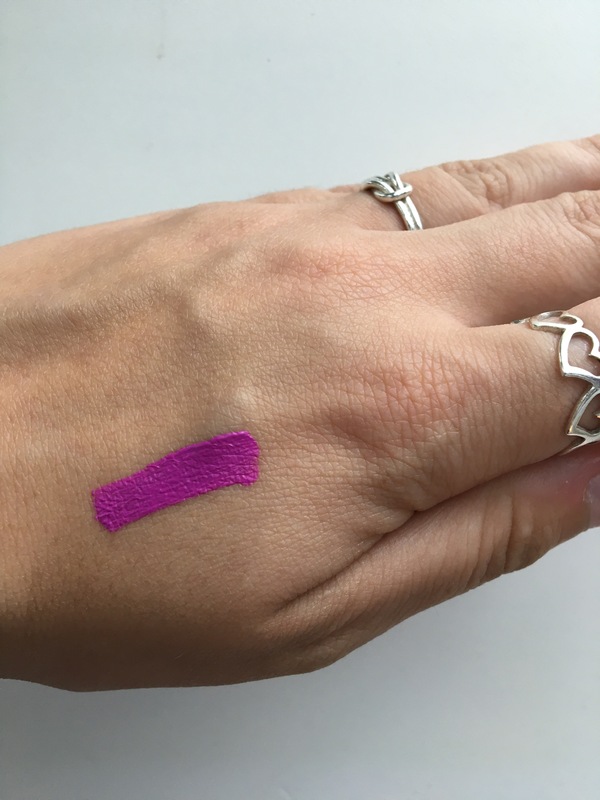 It is very bright and just a really fun shade and I can’t wait to wear this! The next to last product in the bag was this “Rich Kid Coconut Oil Gel” by IGK. (I’m really loving how everything smells so summery. This coconut smell is great!) This hair styling gel is supposed to soften + hydrate hair while also leaving it smelling great! I’m really looking forward to using this to hold down all my fly-aways in my ponytails this summer. 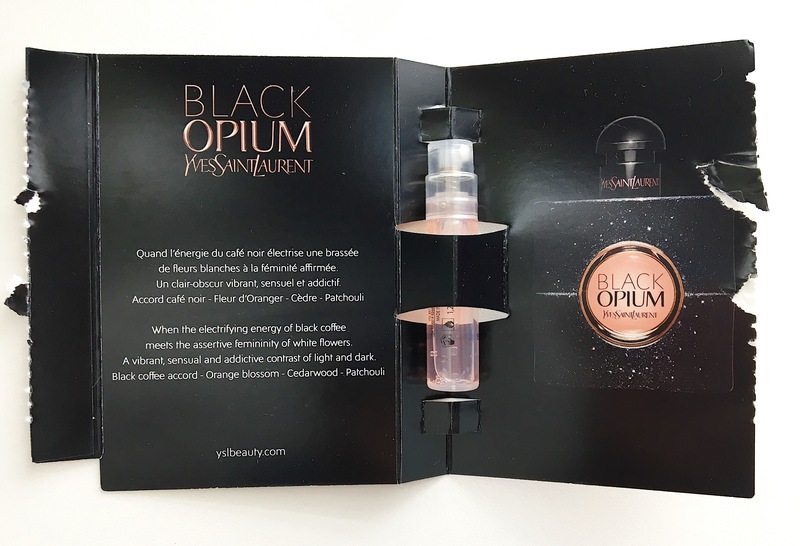 The final product in the bag was this month’s perfume sample. 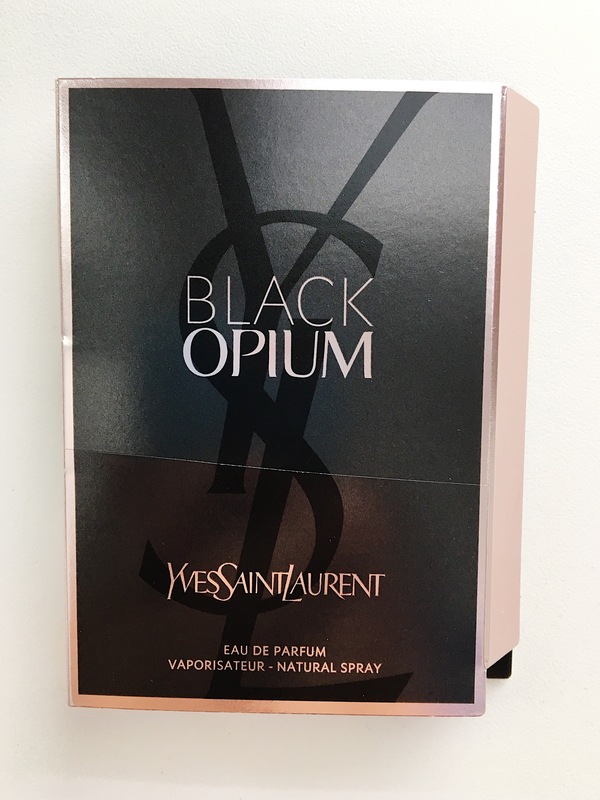 This month’s scent is “Black Opium” by Yves Saint Laurent and I LOVE it! It has hints of coffee, vanilla, and flowers. And I love coffee…so of course I want to smell like it too! This is also the perfect size to throw in your purse in case you want to freshen up throughout the day. Well that is it for this month’s PLAY! Box y’all. I hope you enjoyed it as much as I did. Please check out the rest of my blog and take a look at the follow page to find me on my blog’s social media!